A trial project to bring super fast broadband speeds of up to 25Mbps to Fetlar has moved one step closer with a first stage approval for £50,000 from the European LEADER fund. 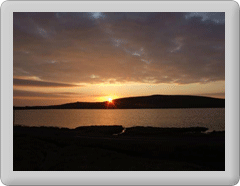 It is hoped the improved broadband service will help attract more people to live and work in Fetlar. There is already one IT company considering moving to Fetlar as a result of these planned improvements.